What in the World Happened to the World? In today’s modern world, we have grown accustomed to progress. We expect it in everything – from computers to automobiles, from televisions to medical care – we simply assume that the next model or generation of something will be an improvement on the prior one. Why is this a natural assumption and what can coins tell us about this? Offering one of the rarest $10 Libs in existence! 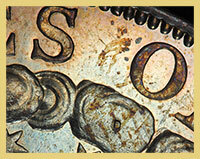 Only 687 pieces were ever minted. Eureka! Our secret software project was unveiled at the FUN show earlier this month. 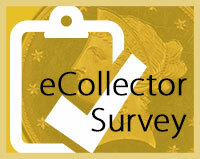 Shopping for PCGS certified coins and building your collection has never been easier! All PCGS Registry users now have a "SHOP" button which will display every PCGS coin that will upgrade your collection or fill that hole. 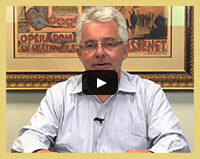 Click here for more information about the new "SHOP" button. 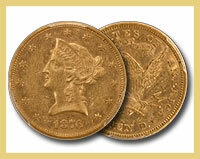 How many PCGS graded coins do you plan on acquiring this year? Remember those old coin albums that we all used to have? Thanks to the PCGS Set Registry, they’ve gone digital, allowing Set Registry Members to showcase their collections elegantly. Users can customize albums and show them off in style. Three numismatic national treasures from the eagerly-anticipated D. Brent Pogue Family Collection, the 1822 and 1854-S Half Eagles and the Dexter 1804 dollar, will make their West Coast debut at the Long Beach Coin, Currency, Stamp & Sports Collectible Expo. 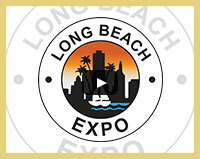 Find out how to get free admission to the Long Beach Expo this January 29-31. More importantly, find out all the amazing things to see at the show, including selections from the D. Brent Pogue Collection and the finest collection of Gobrecht Dollars ever assembled. Join this exciting sale live in Las Vegas and Online. This 352-lot auction contains superb coins for all tastes and budgets including the The Lydia Collection of Proof Morgans, The David Hall Toned Morgan Collection and more.